This romance fiction explores a woman’s wonderful journey of redemption after experiencing a painful ordeal from the past. 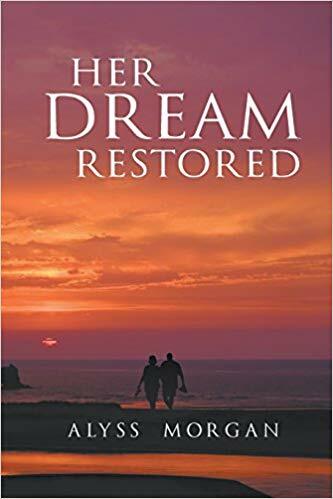 “Her Dream Restored” is an easy read with less than a hundred pages yet filled with incomparable learnings that readers will truly appreciate. This book is definitely a great read that reminds each one of the beauty of finding hope and love even after a tragedy. This novel tells the story of Tori, a woman scarred by the tragic and painful experience from her past. Alyss Morgan narrates how Tori survived a terrible accident but lost not only the love of her life but also her lifelong dream—to be able to start a loving family and have children of her own. Because of this, she decides to never marry anymore. Instead, Tori goes on with her life by living in solitude and getting by every day. “Her Dream Restored” masterfully depicts what it’s been like after surviving the most painful chapter of her life. Readers will find how she slowly gets back on her feet and begins a new chapter as she decides to settle in Kingsland Crossing and opens up a bookstore. Little does she know, that as she continues to get by every day, fate has planned something greater for her. After somehow ending up attending a community auction, Tori meets a gentleman whom she creates an instant connection with. Their spark slowly reignites her desires which she once thought was lost forever. With that fateful encounter, she begins a new journey with the person who has captured her heart. Indeed, “Her Dream Restored” is a great read that reminds each one of the beauty of finding hope and love even after a tragedy. Experience the love that blooms within the pages of Alyss Morgan’s wonderful novel as it joins the upcoming 2019 Association of College and Research Libraries. This great affair happens from April 10-12, 2019 so be sure not to miss it!